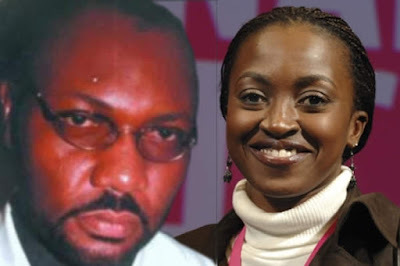 Nollywood actress, Kate Henshaw, has paid a touching tribute to the late JT Tom West for his role in building her career in the entertainment industry. One of the most iconic figures to feature in Nollywood movies, Joe Tamuno-Bididamaa Tom West, lost his life in a car accident on September 28, 2006 in Lagos, leaving behind a shocked industry. In an Instagram post on Friday, Henshaw said she would remember and celebrate him always. The actress, who posted a picture of the Late Actor along with her post, recalled some of his films such as State of Emergency, Terror, Labista, and Broad Daylight. She also narrated how the late actor, who starred with her in her breakout movie When the Sun Sets, played a crucial role in her life over two decades ago. She wrote, “23 years ago, I was nothing but a green horn as they called me back then. I was inquisitive about the audition you invited me to … had no idea of what to expect. After many weeks, I received a note (there were no mobile phones then) that I should come back and read again for the role. “I was still unsure of what this was all about. Long story short, Director Ifeanyi Anyafulu chose me to play the lead role of Omono in Hints Magazine’s first ever movie, When the Sun Sets, the rest they say is history. I would not be here, who I am, if not for you. God used you. I will never forget you. Carefree, funny, mischievous.” Henshaw, who recalled fun times with the actor in Surulere and Segun Arinze, added, “Time indeed has flown by. Rest in peace JT… Sleep well in God’s bosom. I celebrate you. Today and Always.” Tom West was born in Port Harcourt, Rivers State and starred in films such as Gangster Paradise and The Captor. Over the years, the late actor has continued to receive tributes from his peers and fans, including Empress Njamah, Femi Branch and more.